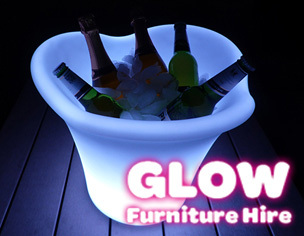 The glow ice bucket is the most glamorous way for serving drinks at your event, especially if you are trying to create that VIP feel. 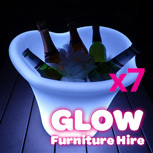 The bucket can hold all your favourite beverages like bottles of wine, champagne, spirits and beer. They can also be used for soft drinks, water and juices. 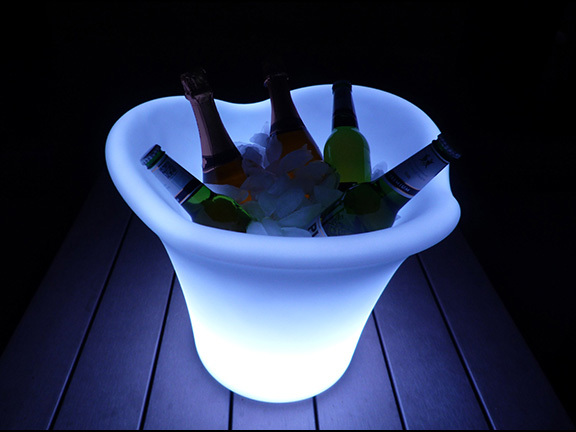 The glowing ice buckets are remote controlled, so you can set the colour or make it flash fast or slowly fade between colours. 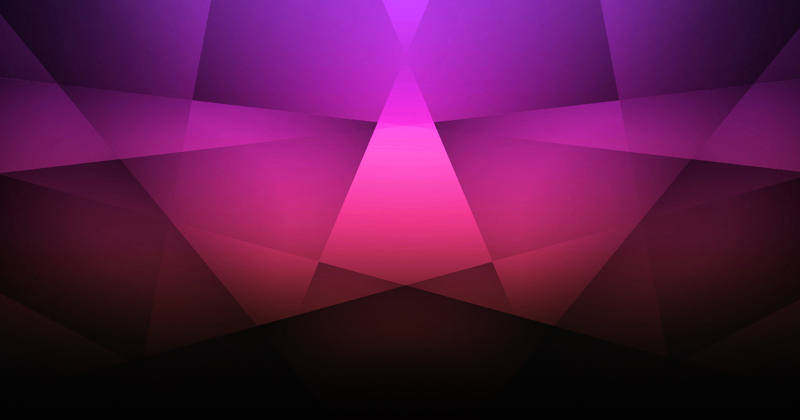 They will give 8 hours of illumination, and there is 16 different colour choices available.